Clare is an active member of the Urban Land Institute serving on the District Council’s Executive Committee, is on the UDMUC Gold Council, and has served on a ULI Advisory Panel in the City of Denver. 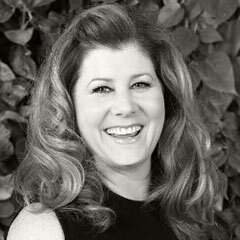 She has been named on the Los Angeles Business Journal’s Women Making a Difference list and has been on the Real Estate – Southern California’s Women of Influence list every year since 2003. Favorite TRC Project:	The Alhambra. The urban community that we have developed at The Alhambra has been absolutely transformative within the City. The vision that we imagined almost a decade ago has become a reality and that is incredibly satisfying. Favorite City: Los Angeles. There are cities that I love all over the world some for their natural beauty, some for their cultural institutions and some for their built environment but, Los Angeles has it all. Favorite Cause: UCLA – History Department. Like our private institutions, UCLA must now support itself and its students primarily through philanthropy. By engaging the undergraduates and alumni alike, we can ensure that students in generations to come will have the same amazing experience that I did.